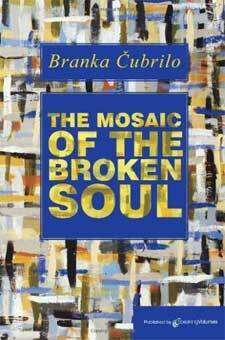 Exquisitely well-crafted, The Mosaic Of The Broken Soul is a highly rewarding literary jewel. Chronicling one brave soul’s harrowing journey on the road to self-discovery, author Branka Cubrilo’s moving offering is equally heartrending and uplifting. Touching on such delicate themes as motherhood, friendship, grief, loss, and surviving breast cancer, The Mosaic Of The Broken Soul takes the reader on an emotional, passion-filled roller coaster ride through the unfettered depths of the human soul – reassuring us all that even the darkest and longest of tunnels still has light at the end. See the video trailer of The Mosaic of the Broken Soul here. 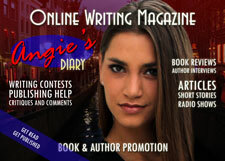 See Branka's Video Interview in the Lit Chick Show here. Read Branka's Interview in the Huffington Post here. Some might say it was early in the morning but as I got up with the song of the first birds, ten o’ clock was almost midday for me. We were sitting on the sun-lit veranda sipping our second cup of coffee. The day started lazily as all days do on this Earthly quota. I decided to stroll down to the main, cobbled piazza where I was familiar with the sounds of my heels and my heart, and start my search for inspiration in the quick and changing slides produced by casual protagonists. She always gets up first. She always gets the door. “Get the door, please,” with the clear intention of staying right where she was. She had a strange expression on her calm face, the one of secret conspiracy - that was what I thought while I was going to answer the door. I opened the door and a tall man, with dark but mellow eyes, was standing in front of me. a strand of my untamed hair. “Of course, of course,” I said, and he walked in. He sat down and crossed his legs. He crossed his fingers and I crossed my heart. At the age of eighteen Branka Cubrilo had written her first novel “I Knew Jane Eyre” and in 1985 it won the Young Writers Award. Soon after that she wrote a sequel to this story called “Looking for Jane Eyre”. In 1999 the novel “As a River” (Fiume corre – Rijeka tece) was published by Croatian publisher ‘Adamic’ in her native town of Rijeka. The book received good critiques in the Croatian and Italian press. After the Croatian book launch, Australian soon followed. In 2000 the next novel “Requiem for Barbara” was published. The book was launched in Croatia and Sydney. In 2001 the new novel “Little Lies, Big Lies” was published by the same publisher, which was the first volume of the trilogy called “Spanish Stories”. In 2002 Branka had obtained a scholarship from the Spanish Ministry of Foreign Affairs to travel to Andalucia to research the cultural and historical setting of Cadiz. She has written two more novels, but she stopped writing and publishing when she encountered serious health issues. It took a few years to get well and to be able to translate those experiences into a new novel called “The Mosaic of the Broken Soul." Over the last 18 years Branka has worked in Sydney in various local papers as a journalist, contributor and freelance journalist conducting interviews, writing articles and short stories. Through the magazine “Women 21” one of her novels was published in sequels. Branka worked as a radio producer in Eastside Radios Sydney and Special Broadcasting Services – SBS - Sydney where she has produced a number of programs and serials, conducted many interviews and written short stories. Currently she is working on a new novel. She also works as an interpreter and translator. She has been living in Sydney with her daughter Althea since 1992. If you have a VIP or Publisher account you can apply to participate in future bulletins with your book(s).